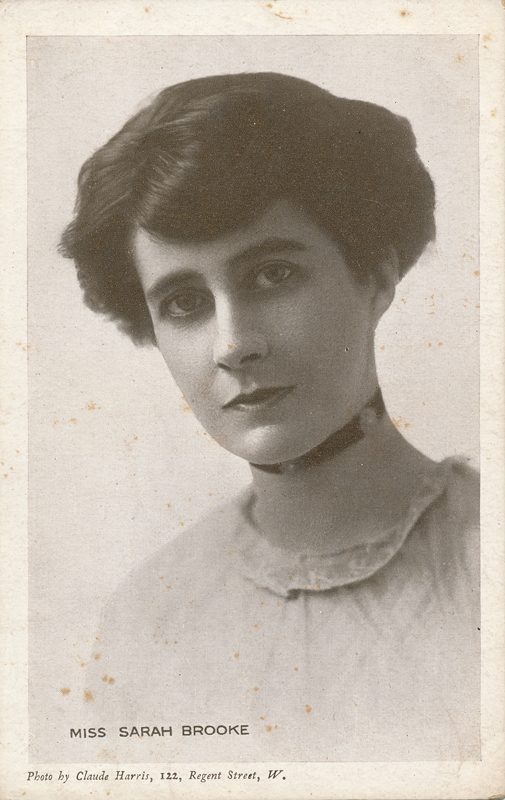 Sarah Brooke trained with the Thomas Thorne Company and after touring with them made her London debut in 1896. 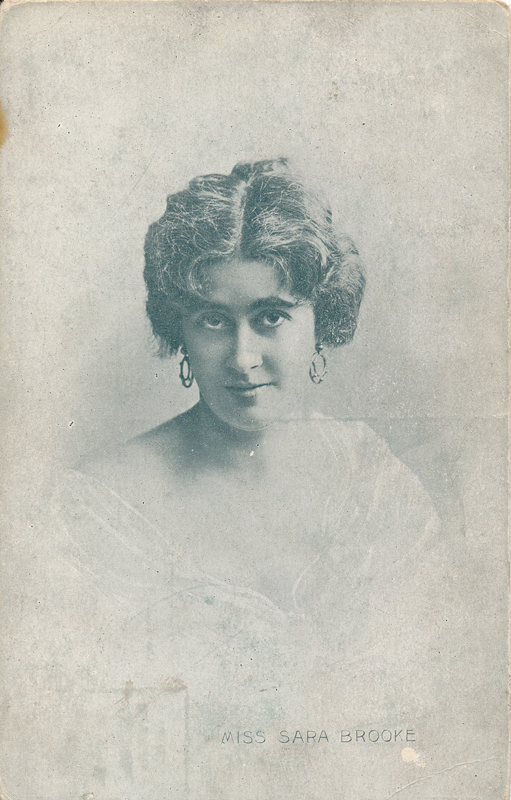 She then toured with the company of Johnston Forbes-Robertson and had the opportunity to play Desdemona. 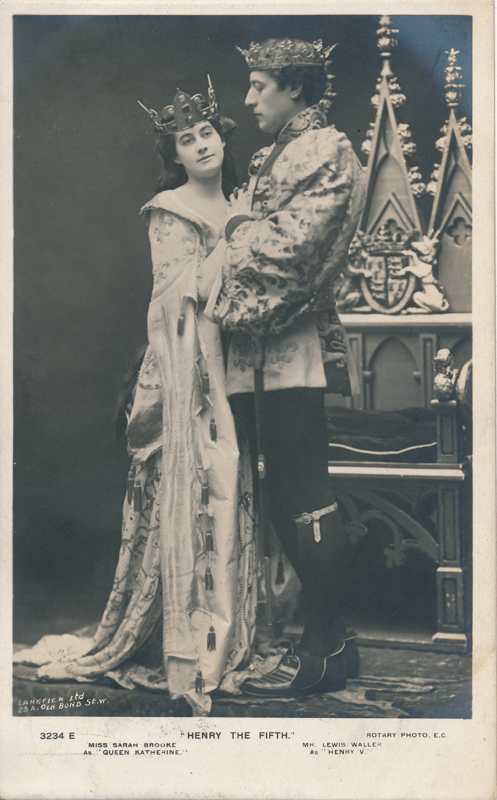 At Her Majesty’s Theatre in 1899 she appeared in King John. The next year, 1900, she was at the Lyceum Theatre, London, where she played Hermia (A Midsummer Night’s Dream) and Katherine in Henry V; she played Katherine again in 1905, but after that no more Shakespeare plays are listed among her performances.